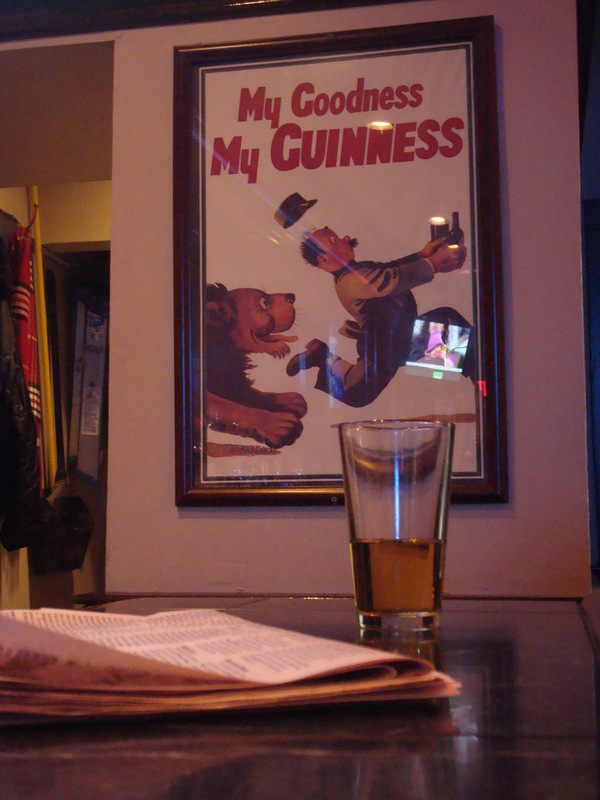 There are three things I can comfortably rely on when I go to Whitney’s in Harvard Square. First, some staple of classic rock will be booming from the jukebox as soon as I walk in. Second, I’ll encounter at least one person who looks like they’ve been sitting at the bar since noon. Third, I will end up having a conversation that runs the gamut from interesting to bizarre with a complete stranger – usually the guy who’s been there since noon. And it’s easy to see why someone would set up shop here for the day. Whitney’s is a classic, cozy dive with a blue-collar feel to it. 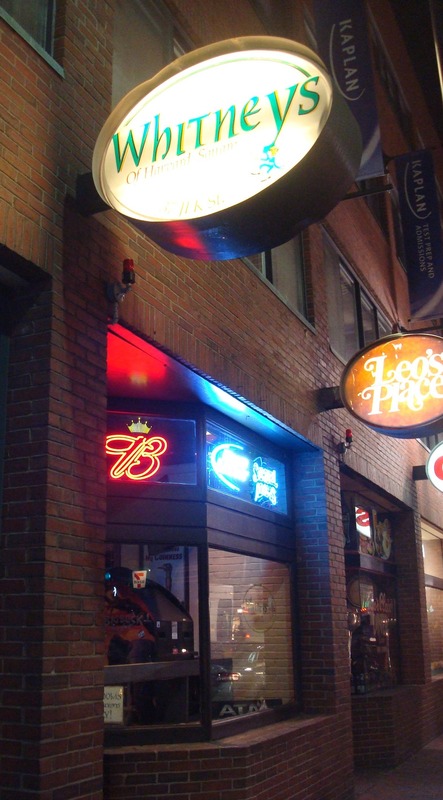 Its clientele varies widely, from an older, grittier sect that seems to prefer this low-key atmosphere over some of Harvard Square’s trendier options, to local students taking advantage of cheap(er) beer. Aside from a dartboard, a fancy digital jukebox, and Big Buck Hunter, this is a decidedly “no frills” bar. It’s a small place, but with dozen chairs at the marble-tiled bar and maybe 10 stools on the opposite wall, finding a seat is rarely a problem. My friend Brian once said that Whitney’s reminds him of “a cross between my uncle’s house and a really nice place.” I can’t think of a more fitting tribute to this bar. There’s something honest about it. I get the sense that blood, sweat, and tears went into building this establishment. If you converted part of your basement into a bar, you probably wouldn’t be designing some lavish showpiece – it would be more like a man-cave. A comfortable room where you could drink a few beers with your friends and watch the game, the walls adorned with quintessential bar décor – neon Bud signs, framed Guinness posters, and a dartboard. That’s Whitney’s. Simple, unpretentious. What you see is what you get. Brian and I stopped in about a month or so ago at about 7 p.m., following dinner and drinks at nearby Russell House Tavern. There were maybe 10 or 12 people there, which seems pretty typical for a weeknight. “Whole Lotta Love” by Led Zeppelin was playing when we arrived, satisfying the classic rock component of the evening. Maybe I’ve been spending too much time in places like TRADE and Marliave, but it’s been so long since I walked into a bar and was greeted by the iconic guitar riffs of Jimmy Page and the banshee-like vocals of Robert Plant. It was refreshing. When the song was over, it was followed by…”Whole Lotta Love” by Led Zeppelin. Again. Not as refreshing the second time around. 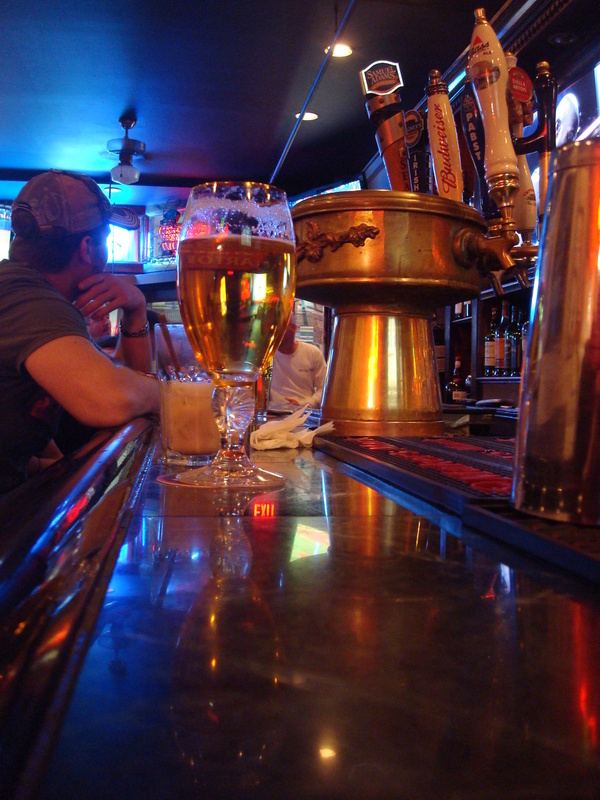 Maybe it’s “when in Rome” syndrome, maybe it’s the $3.25 price tag, but Brian and I always get the same thing when we’re here – Pabst Blue Ribbon on draft. 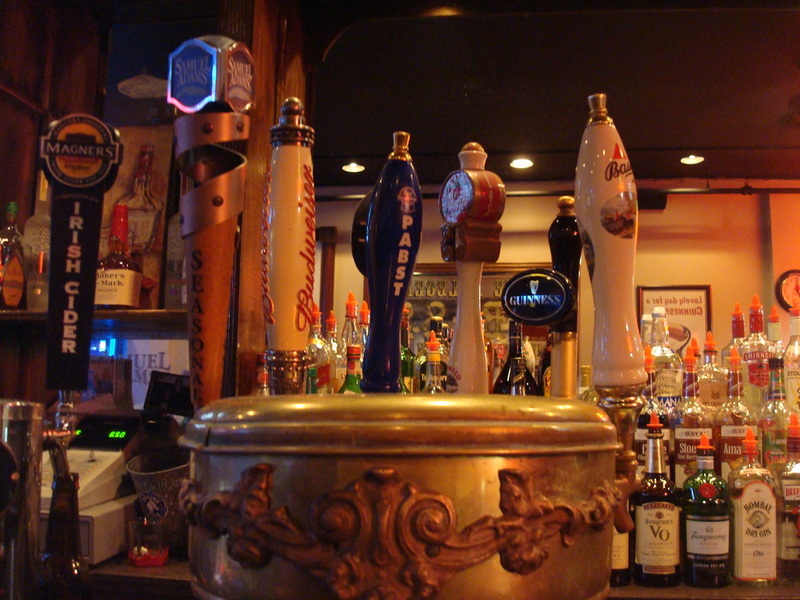 If you’re not a PBR fan, Guinness, Bass, Bud, Stella, Sam Adams, and Magner’s cider round out the draft options. If you’re looking for a designer cocktail list or an array of microbrews, you’re in the wrong bar. I find that a night at Whitney’s truly relies on conversation. They don’t serve food here, so unless you’re a connoisseur of potato chips, there will be no conversations about the cuisine. No menu to look over, no discussion about whether you want to split nachos. Maybe that’s why the patrons here, whether they know each other or not, tend to be so gregarious. And that can be a mixed blessing, as Brian and I were about to discover. As we sipped our PBRs, a couple of Queen songs came on the jukebox – “We Will Rock You” and “Another One Bites the Dust.” I would have paid them no notice, except the guy who played them, an older gent who reminded me in voice and demeanor, if not appearance, of Barry Weiss, “The Collector,” from the show Storage Wars, apologized to Brian and me for choosing old tunes that might not appeal to us whippersnappers. Maybe I just needed the unique ego boost that you get when you’re in your 30s and someone calls you a whippersnapper, but I found it absurdly flattering that someone would think those particular songs would be too far before our time for us to recognize. And pretty amusing, too – as Queen songs go, they aren’t exactly lost tracks. I sensed the “interesting conversation” quotient of the night shaping up when Barry (I’m just going to call him Barry) explained to us that, earlier in the day, he’d been playing some Frank Sinatra songs on said jukebox, and “the ladies loved it.” I took that at face value. Only later did I begin to wonder what “ladies” were hanging out at Whitney’s in the middle of the day. And how long he’d been there. In hindsight, that might have been the first red flag; but Brian and I love Ol’ Blue Eyes, so we applauded Barry’s good taste and talked Sinatra for a bit. His next selections were “Rhiannon” and “Go Your Own Way” by Fleetwood Mac. OK. Not the songs I would have chosen, but hey…I have no beef with Fleetwood Mac, and I’ve heard much worse in bars before. Like, for instance, a song from the Jesus Christ Superstar soundtrack. By that time, our missteps were all too apparent. We had accepted an invitation to dinner at the home of a madman, and by the time we realized the food was poisoned, the doors were locked and the windows barred. Our polite conversation about music gave way to an animated lecture on Franklin D. Roosevelt, about whom Barry had been reading while sitting at the bar. Brian got the worst of it, since he was next to the guy (and it suddenly became very important for me to start taking some pictures of Whitney’s for the blog). Facts, rumors, anecdotes, quotes, statistics, you name it. The alleged conspiracy surrounding Pearl Harbor. Hiding a crippling disability while in the public eye. The unprecedented third and fourth terms. It was a verbal celebration of all things FDR. On the plus side, Brian will never have to buy the book. Having had his fill of presidential history for one evening, Brian headed out. I discreetly slid down a few seats and found myself next to a guy who was there with his wife; I’d put them in their mid-40s. In between smoking breaks, they’d stop into the bar, have a few drinks, talk to me, and buy lottery tickets. Apparently, the guy was something of an amateur lottery historian. Whitney’s sells old-fashioned lottery tickets with a pull-tab you peel back to reveal a window that shows you what, if anything, you won. As he explained to me, in a very thick Boston accent, this was the type of lottery ticket that used to be played in gentlemen’s clubs in the late 19th century. I have no way to confirm this, but he seemed like the sort of guy who’d know that sort of thing. He also claimed to have won the lottery multiple times. Despite the lack of any discernible evidence, it seemed oddly plausible. It was then that I realized that while Whitney’s is a great place to hang out with a friend and spend the night chewing the fat, it’s also not a bad bar if you happen to be on your own. Even if you don’t strike up a random conversation, you can’t help but soak up the atmosphere. I was in the neighborhood with an hour to kill by myself on a Friday after work, and it gave me a chance to do just that. 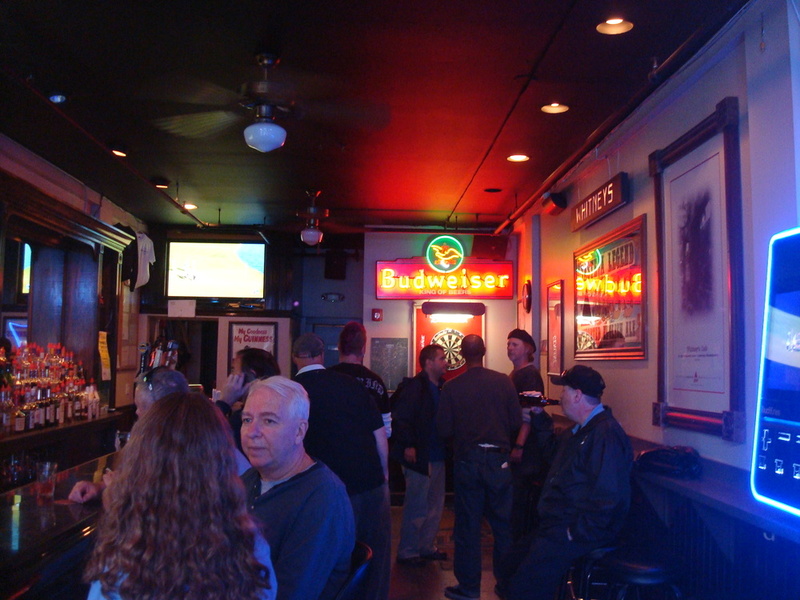 I found the usual mishmash of patrons – some much older guys hanging around, a couple of biker-looking dudes, plus an incongruously well-dressed guy who, I later learned, runs another very popular bar in Harvard Square. Behind me, there was a serious game of darts going on. This marks the first time I’ve witnessed a serious game of darts (maybe because my own attempts to play are just so comical), and it was made all the more intense by virtue of the player who brought his own darts! I’ve seen people bring their own pool cues to play billiards, but your own darts? That’s a first for me. Next to me was a guy sipping Jagermeister like it was single malt scotch. Hey, to each his own, but…ewwwww. Maybe I’m the weird one, but I’ve always thought of Jager as something you do shots of at a party (a college party), trying to keep a straight face while your buds cheer you on. It never occurred to me that someone would, you know…just drink it. I also had a chance to talk with Scott, one of the bartenders, who’s a really nice guy and clearly enjoys his job. Among the more interesting things I learned is that Whitney’s entered a contest not long ago sponsored by Maker’s Mark in which it competed with four other Harvard Square bars to devise an original cocktail. The winner? Whitney’s! Scott’s own “Maker’s Mocha,” a combination of Maker’s Mark, Kahlua, and cream, scored the bar some major local bragging rights. As usual, the jukebox was the life of the party. Incredibly, someone made me rethink the Jesus Christ Superstar song as the oddest jukebox selection I’d ever heard when they chose “The End” by the Doors. Talk about a grim, trippy 12 minutes. Thankfully, it was followed by “The Joker” by Steve Miller, which had most of the bar – biker dudes, dart players, bar owners, and me – all singing along. Given the diversity of bars in Harvard Square, I think it’s really important to have a place like Whitney’s. There are bars in the area that brew their own beer, make specialty cocktails, and offer upscale food menus, but they aren’t for everyone. Some people want nothing more than what Whitney’s offers, and make no mistake – it offers something unique. 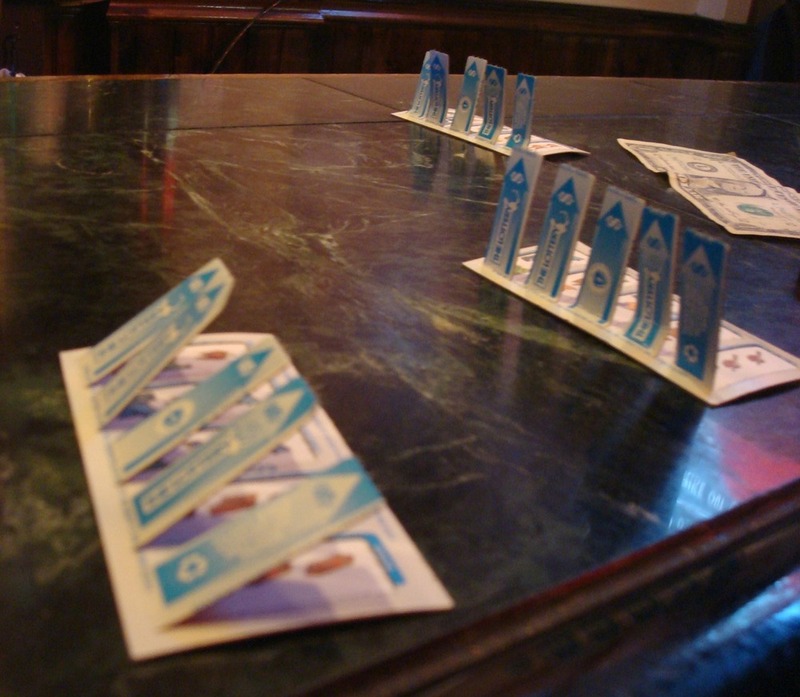 Some bars manufacture an atmosphere via their design and décor. In others, like Whitney’s, the personality of the patrons contributes to a unique vibe. No doubt, this is a bar with character – and a few characters. 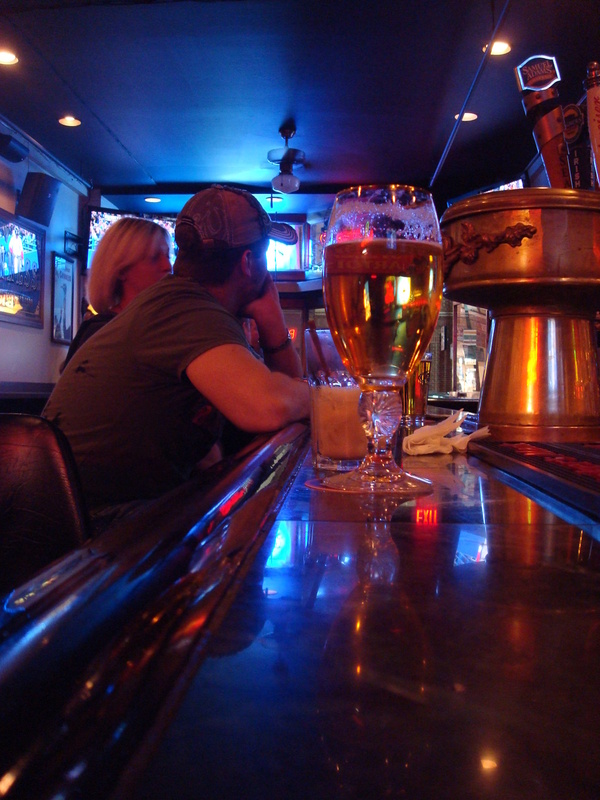 When you venture into a typical dive bar, you often get the feeling that you’re invading someone’s space. Like there’s a bunch of regulars who take up residence in a tucked-away, hole-in-the-wall bar, and they all know the bartender, and they don’t know you. Whitney’s, by contrast, is warm and approachable. What’s more, it’s refreshingly straightforward. I’ve spent a lot of time so far talking about bars like Scholars that serve craft cocktails with exotic ingredients. 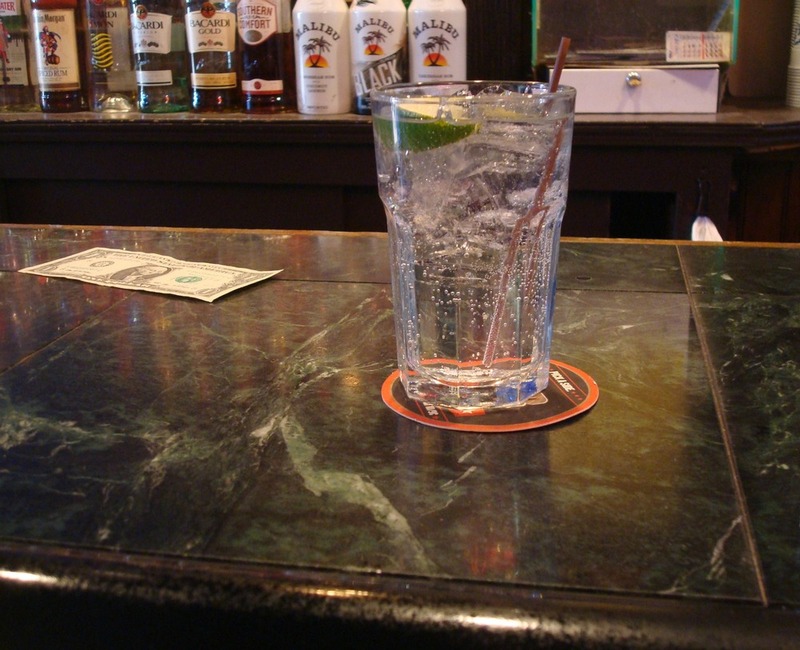 I love those places, but I also like asking for a gin and tonic and getting a plain ol’ gin and tonic. Paying $5.50 for it (instead of $10 or $11) isn’t bad, either. And while I get excited about having 150 beers to choose from at a bar like Five Horses, there are times when deciding between Sam Adams and PBR is all the energy I want to expend. I’m not a regular at Whitney’s. For me, it’s a place I swing by when I’m already in Harvard, and maybe looking for a change of scenery or just to close out the night. But whenever I go, and regardless of how long it’s been, I usually know what to expect from Whitney’s. Website: None. What did you expect?